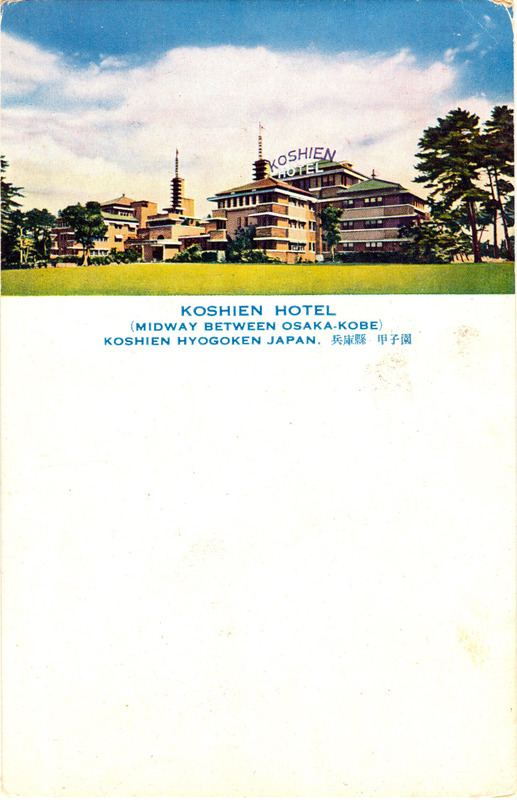 From the wiki: “The Kōshien Hotel was a Mayan Revival-style hotel in Nishinomiya, between Kobe and Osaka, Japan, designed by Arata Endo, a disciple of Frank Lloyd Wright and who worked with Wright on the Imperial Hotel. The Kōshien Hotel opened in 1930. From 1944, it was used as an Imperial Navy hospital, and in 1945 it became used as accommodation for the US military for the duration of the Occupation (1945-1952). “In 1965, it was donated to Mukogawa Women’s University, and was refurbished internally and externally. It is now known as Koshien Kaikan.